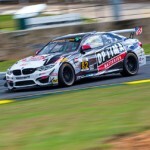 For those expecting Dublin, Virginia’s BimmerWorld Racing to ease into their GRAND-AM Continental Tire Sports Car Challenge series (CTSCC) debut, the BMW specialists served notice that they’re aiming for wins from the outset. 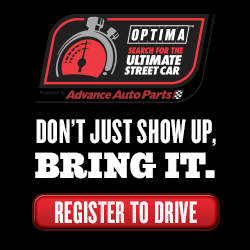 Transitioning from sprint racing to the 2.5-hour endurance racing format used in the CTSCC could have been a major hurdle to overcome, but after years of preparing for professional endurance races by competing in local 12- and 13-hour events, all of that practice paid off when Seth Thomas and Bill Heumann drove their #81 BimmerWorld/GearWrench BMW E90 to second place in the Fresh From Florida 200 on Friday. While Thomas and the BimmerWorld team are no strangers to finishing on the podium, doing so in their first CTSCC race was especially rewarding. For Bill Heumann, it took a little bit of faith to believe in the endurance racing mantra his co-driver had drilled into him. The elated Heumann was also quick top praise his co-driver and team. The #81’s charge from 27th to 2nd, an improvement of 25 spots, was the highlight of the day for BimmerWorld. Unfortunately, the sister #80 BimmerWorld/GearWrench BMW E90, driven by team owner James Clay and David White, would have a less deserving result. Starting an impressive 3rd on the grid, Clay and White were poised to score an impressive finish alongside the #81, but after being hit from behind, resulting in a multi-car accident, Clay’s day ended with a broken suspension and an assortment of crumpled body panels. Clay was pragmatic after the incident, and preferred to recognize the performance of his team. White echoed Clay’s comments, and got to see just what the team was made of throughout the weekend. Having seen what Thomas and Heumann achieved at Daytona, White is eager to join them on the podium at the next race. The smooth execution of BimmerWorld’s Fresh From Florida 200 race came after a few hectic weeks of preparation and repairs to the #81 BMW E90. A crash in testing found the Jason Marks-led BimmerWorld crew taking the car down to the bare chassis in order to have it straightened before a complete reassembly and rebuild prior to Friday’s race. The road to Daytona, as Marks shared, was long, but ultimately rewarding. Team boss Clay agreed with Marks and also reflected on his choice to move his team to GRAND-AM. 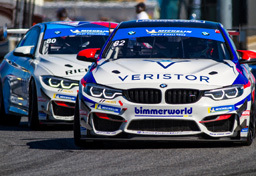 Follow the BimmerWorld/GearWrench team as they prepare for Round 2 at Homestead-Miami Speedway, March 5-6, by visiting www.BimmerWorldRacing.com.